Before we get our guest’s visit underway, I’d like to ask everyone to take a moment to remember 9/11/2001 and all those who deal with the ramifications of that day every day. My deepest gratitude to all those who sacrificed and served and to those who continue to do so relative to that day. Prayers are with all of you today and very often. Always a tough subject but unfortunately, now part of our history. May we all have peace believing all things work together for a greater good in the long run. What do love best about writing? I love the creative process. When it’s in your blood, you crave the formation of story, the shaping of characters and their lives. It’s world building. I guess what I like least is other things getting in the way of my writing time, everyday things that have to be done, but cut into the work schedule. I’ve always spun yarns, and I remember being in second grade and my teacher, Mr. Sprowl, wrote a partial sentence on the blackboard that was something like, “One day a little girl was walking down the street and…” She asked us to finish the thought. Something like eight pages later she told me I really had to stop writing because it was time for Social Studies….lol…. I guess now that I’ve embraced this passion that’s always burned inside me, there’s no curtailing it. I think about it when I’m away, jot notes on slips of paper when I’m in a restaurant, obsessive stuff like that. It has made me realize that determination, hard work, preparedness and belief create incredible outcome. One example on how it has impacted other areas of my life is my physical health. I had decided six months ago that I simply needed to improve my lifestyle and diet. So, I used some of the principles I’ve used in my writing life. I got educated, surrounded myself with those in the know, and then put myself into the game. I joined Weight Watchers and have taken it very seriously. I go to the meetings, log my daily points, and exercise regularly. I’m down about19 lbs, with three more to go before I hit my goal. 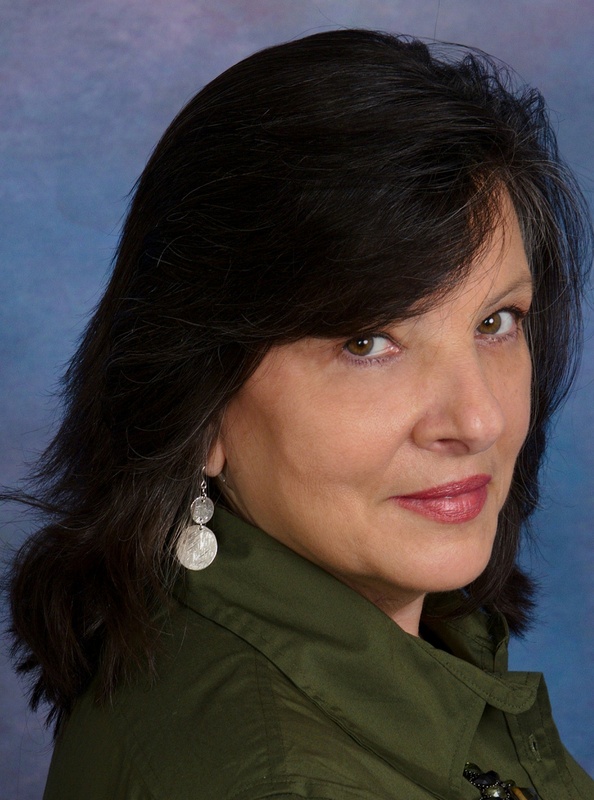 Being an author has given me the courage to face new challenges. Where do you get story and character ideas? I’m a believer in writing what you know to the extent of the heart of people. You can always do research on certain aspects of life, but people are people, and you have to dig deep within yourself to find the truth and breathe that truth into your characters. Talk about current, past and future projects, upcoming releases, maybe your ‘dream novel’? I’m awaiting the release date of the third book, Brookside Daisy, in my “Perennials Series,” available through The Wild Rose Press. 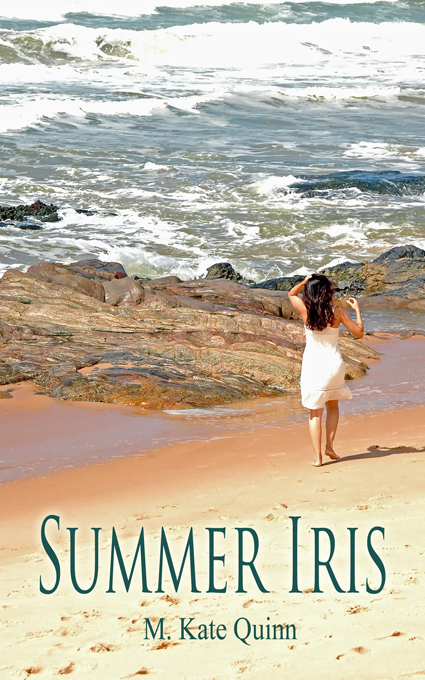 The first in the series, Summer Iris, debuted last summer and the second, Moonlight and Violet, released this spring. I named the series after perennial flowers for two reasons. Each heroine has the name of a perennial flower and perennials are the unrelenting beauties that come back in their glory every spring no matter the harshness of the winter they’ve endured. Each heroine in the series is a woman of “a certain age” finding herself at a crossroads in her life. They discover things about themselves, realize their passions, and of course, find that it is never too late to find love. 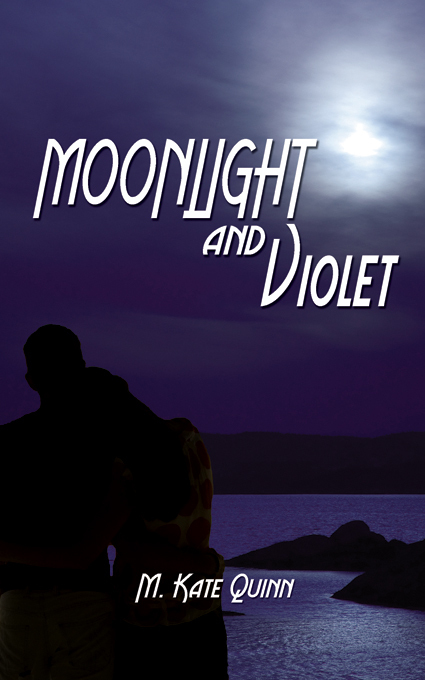 Here’s the awesome news: Moonlight and Violet is currently a nominee for Best Long Contemporary Romance in the NJ Romance Writers Golden Leaf Awards. I’m thrilled! That’s incredible news! (Not that I’m at all surprised. Please make sure to keep us in-the-know!) Please tell our readers how you juggle time to write and all that goes along with it, especially as a published author (i.e., promo, etc). It’s tough to juggle it all, but anything important is worth the effort. I’m lucky enough to have retired early after sixteen years working in the offices of a school district. Now I devote as much time as possible to my writing career. However, I have a husband, three grown kids, three grown step kids, two beautiful granddaughters, my mom, extended family and friends, so I still juggle time and schedule. I enjoy guest blogging, so thank you, Joanna, for having me. I also have my own blog. I do book signings and speaking engagements. My next event is scheduled for Saturday, September 24th at the Ocean County Library Book Fair. You can check out details: the oceancountylibrary . org Hope those of you in the area get a chance to stop in and meet my good friend in person! She’s a lot of fun and as kind as the leading ladies she writes! So glad to have you here, M. Kate. 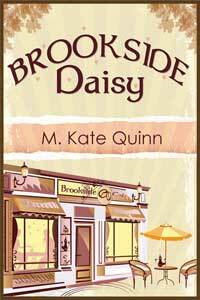 Looking forward to seeing you again once Brookside Daisy is out and best wishes in the Golden Leaf contest!